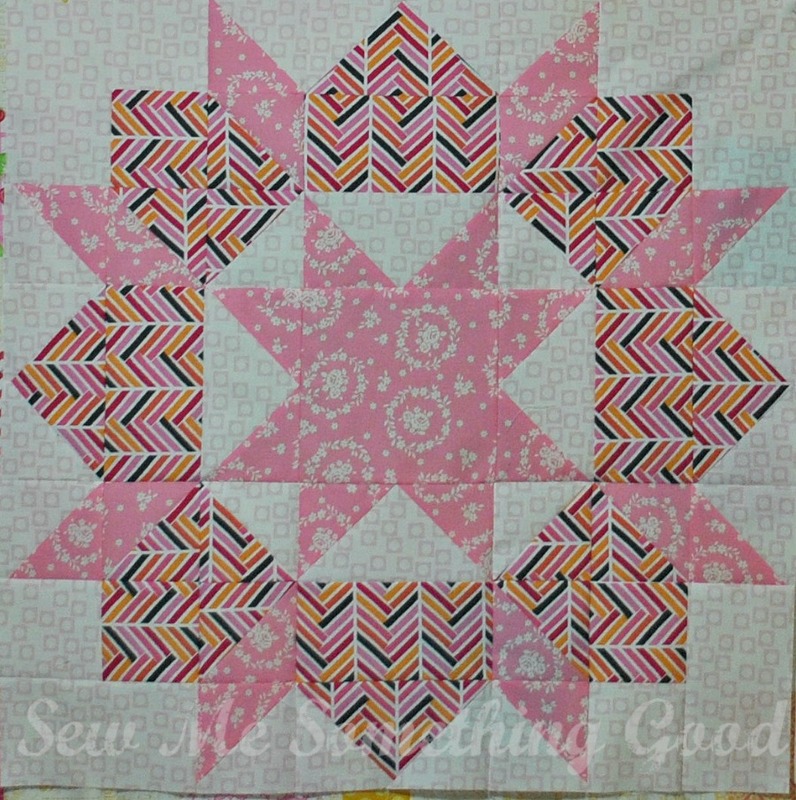 With only a yard of my chosen background fabric to start with, I was able to stitch up a couple more blocks for my version of the Swoon quilt. Looking over the fabrics I've chosen, I realize I have selected some directional prints, which may not look the best for this block, but which I quite like and wanted to try. So, the second block is a test block of sorts... I wanted to see how a directional print would look. Broken Herringbone from Madrona Road paired with Lecien's Flower Sugar in pink make my second block. Undaunted by the results, I went on to experiment with a small scale directional print for the third block (the orange print used for the star has one-way dotted lines in its background). Interesting comparison. The large directional print is more obvious with its change of directions in the finished block while the small directional print is quite subtle, but I still like it. Want to see how my first three blocks look together? Amazing the changes that occur depending upon the fabric, isn't it? 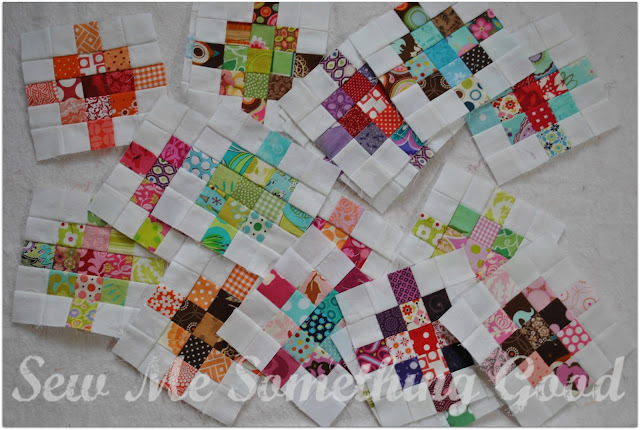 I absolutely love seeing those changes and can hardly wait to stitch more blocks for this quilt. How about you? Are you swooning yet? 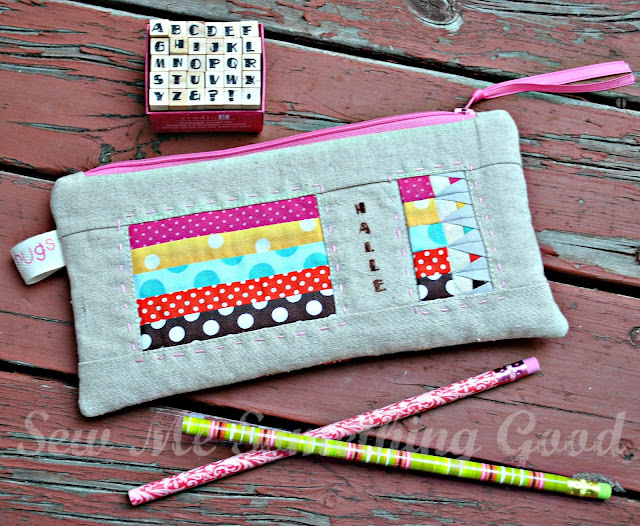 This too cute for words pencil case is one of the projects in Patchwork, Please! Have you heard about Swoon 2013? 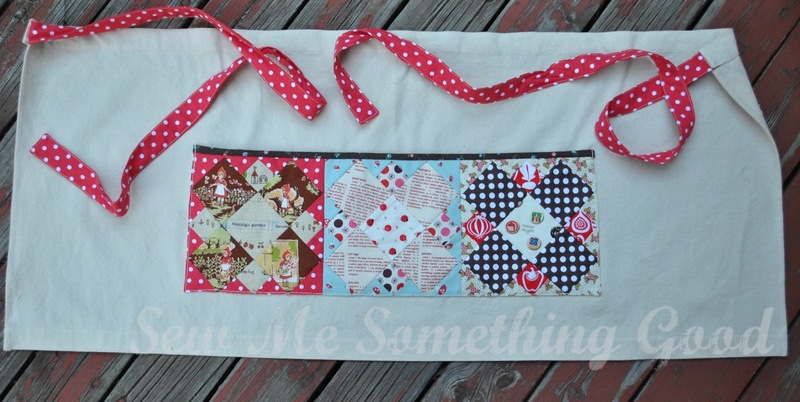 It's a fun quilt along being hosted by Sarah @ FairyFace Designs using Camille Roskelley's lovely Swoon quilt pattern. 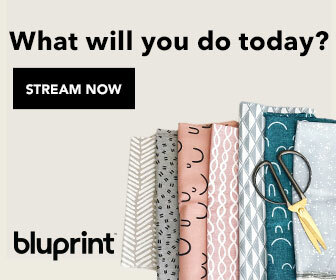 With pattern in hand, I started searching for fabric candidates and got hooked on prints in the Madrona Road collection. 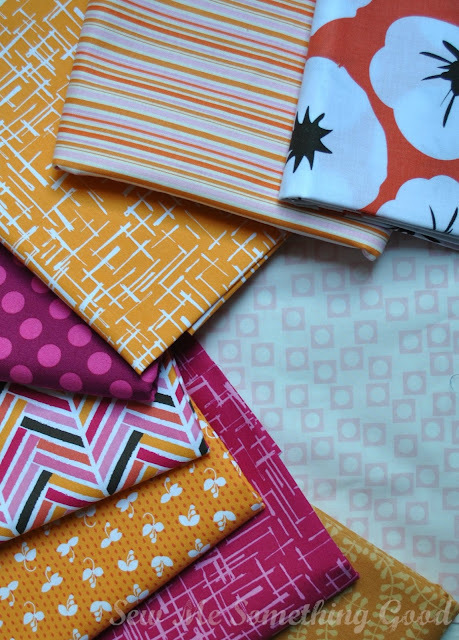 Here's my initial fabric selections. 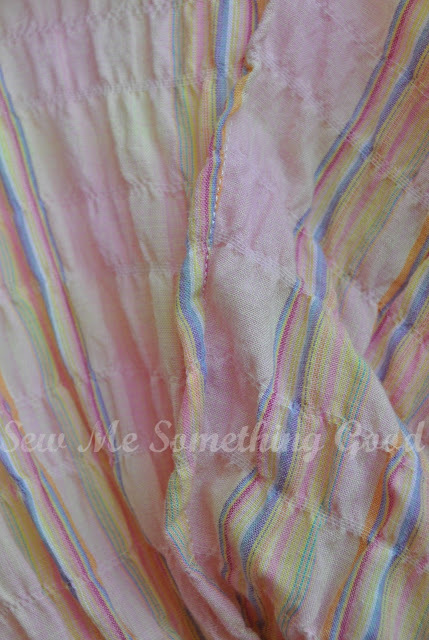 Along with Madrona Road is some Sherbet Pips (for the background) and some stripes (for the binding). Shown below is my second selection of fabrics from my stash (top row in pic below) to round things out with the first choices. I love fabric auditions! 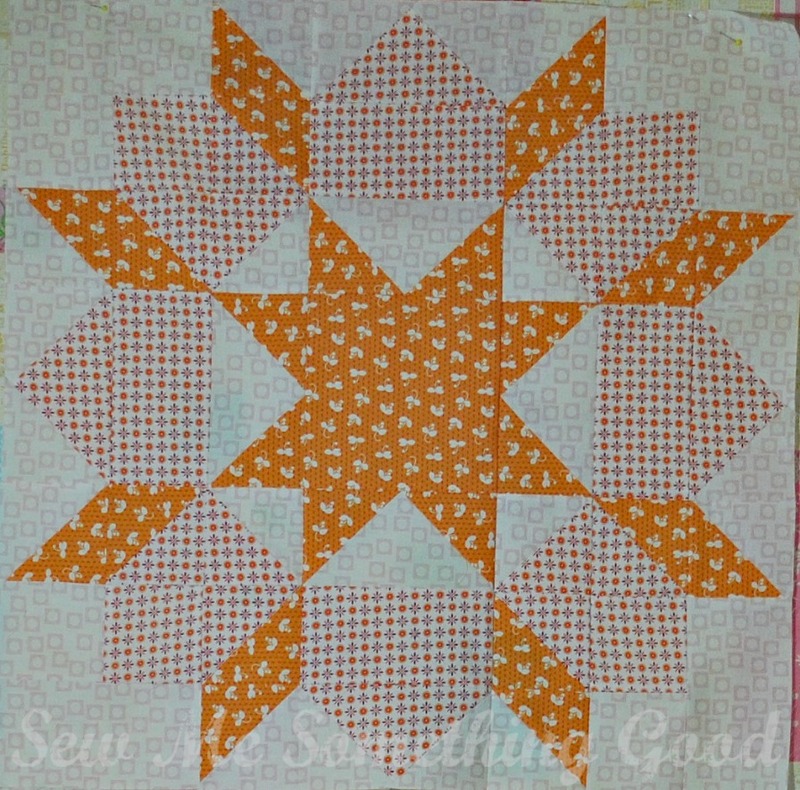 Even though I'm still auditioning final choices for which fabrics I will use in my quilt, I couldn't resist making my first block. 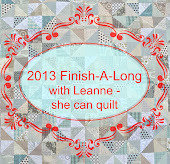 Lucky for me, the deadline for linking up for the third quarter of the Finish-A-Long with Leanne is midnight, tonight. It seems that although I had every intention of getting my list together sooner, time has been spent dealing with work and our flooding basement (we're quite ready to move on from a full week having to hourly vacuum up the water that keeps coming in...plumbers are already so busy dealing with the recent flooding disaster in Calgary, that instead of waiting any longer, my hubby is installing a sump pump, so we should be able to dry things out... finally). 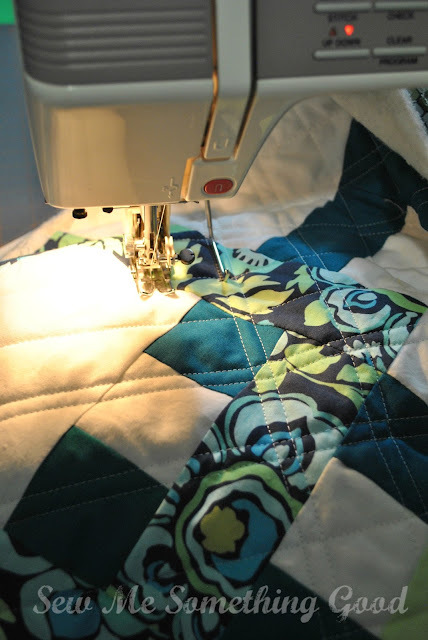 My sewing mojo took a big hit this past week, thanks to the stress of having a flooded basement, but I'm ready to move forward with my sewing projects. Time to laser focus my efforts this quarter, with hopes that I'll finally be crossing these projects off my to-sew list. ;o) Since it's summer and that means I'll be busy with things like canning and visiting with family... I've decided it's probably more realistic to keep my list short and sweet. 2. 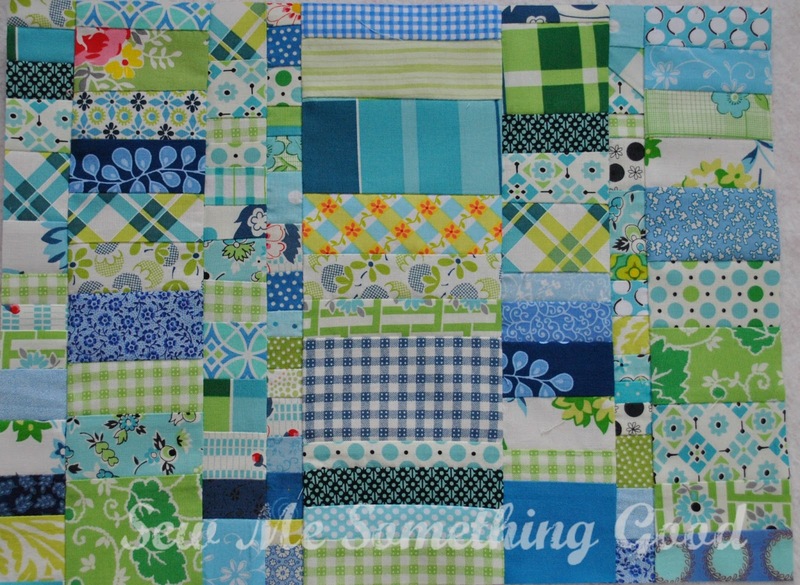 Possibilities in Blue and Green - time to take these pieced scraps and turn them into a finished quilt! 3. Impromptu Quilt - basted and waiting for me to quilt it. 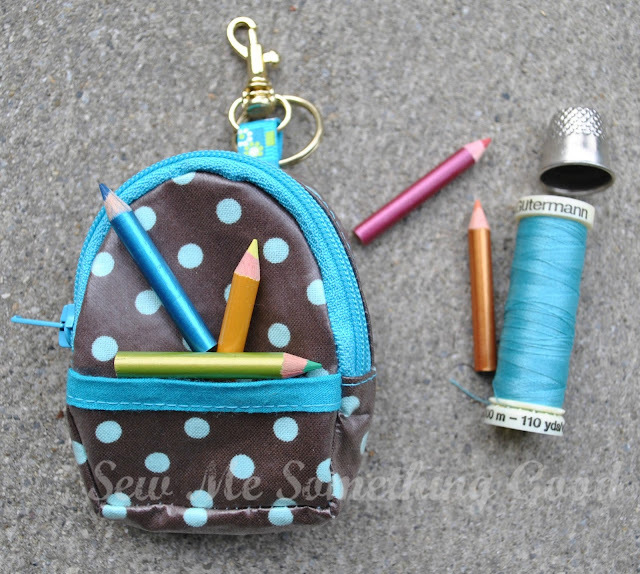 Mini Back Pack Coin Purse and Key chain design. You will need a membership (which is free) to be able to download my pattern. I thought we were past the chance of flooding this year, but this weekend proved how wrong that thought was. (including his room with the new hardwood floors his dad and him had installed). The hardwood obviously had to be removed due to water damage after all his furniture and belongings were relocated upstairs. We spent a long and busy day moving things out of the basement, tearing up hardwood and using the shop vac along with mop and bucket to keep up with the incoming water. For the time being my oldest son has his bedroom set up in our living room and we're continuing to deal with water coming in (more rain this morning is not helping things. I hope the rain ends so we can dry out!). Anyways, I'm a little off-balance dealing with this and obviously didn't accomplish any sewing to share. 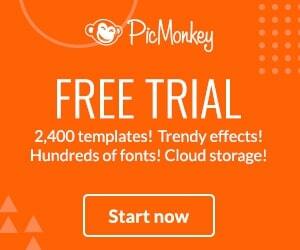 and turn the whole thing into a PDF pattern. So, my apologies if you've tried to access the tutorial in the past 24 hours, I took it offline to prevent further frustrations. I had hoped to get things back online sooner, but thanks to the flooding, I will need until tomorrow. I appreciate your patience and understanding. I really want to make it easier for everyone wanting to sew one. I know how frustrating it has been for those that could not access the pattern pieces off-site. This week brought some hot summer weather, making me wish I'd started this project sooner. 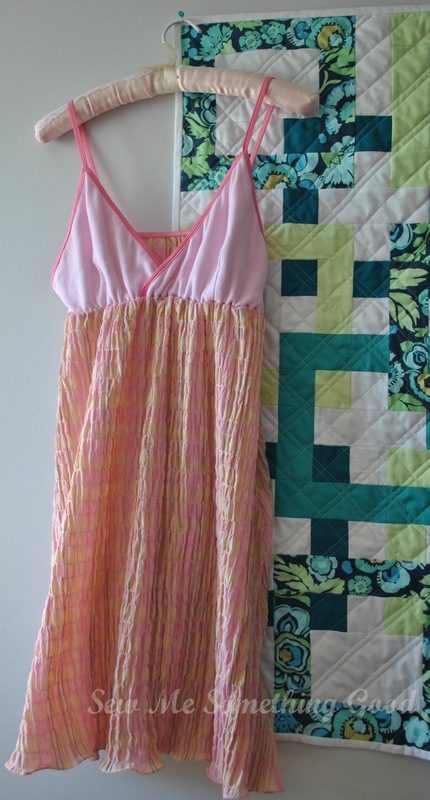 I desperately needed a simple, but comfy nightie to get through any more sultry summer nights without tossing and turning endlessly. 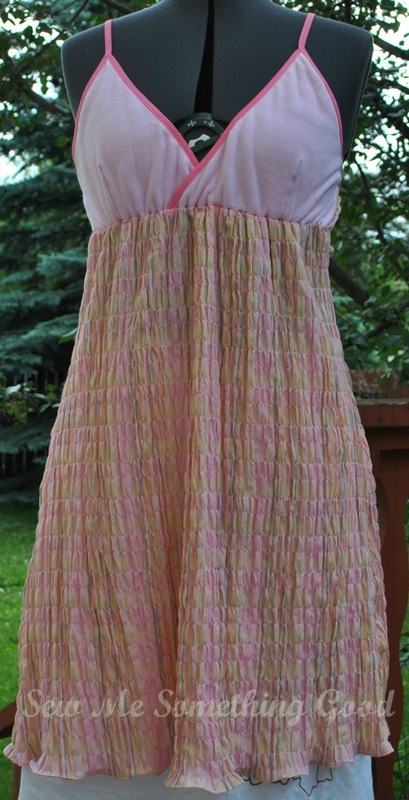 I combined a T-shirt knit for the bodice, finished the edges with fold-over elastic and used a pre-gathered lightweight cotton for the skirt of the nightie. This was my first time using fold-over elastic ( I bought mine from Sprightly Fabrics) and it worked like a dream in giving my garment a professional finish, not to mention comfort. In case you're unfamiliar with fold-over elastic, here's a close-up. The right side has a satin like sheen to it while the underside is flat in comparison. Can you see the "line" woven into the center of the elastic? 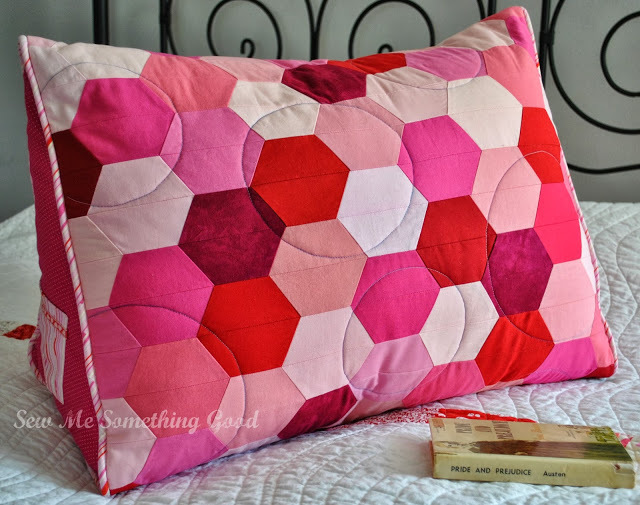 That makes it easy for folding and encasing the edge of your fabric. and here is what the elastic looks like afterwards. 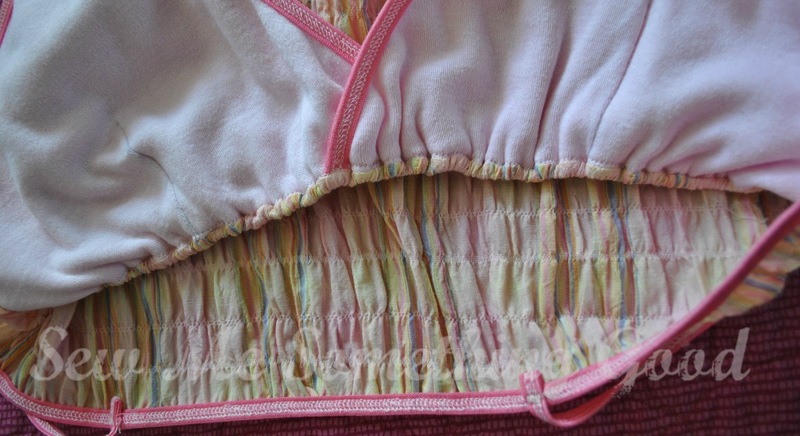 As you can see, I used the fold-over elastic to encase all the outside edges on the bodice of the nightie, including making the straps. I simply bar-tacked the ends of the straps to the back of the bodice to secure them. How about a peek inside the nightie to see how I finished things? I chose to sew French seams on the nightie for a nice clean look and for comfort. The French seams practically disappear on the side seams of the skirt! 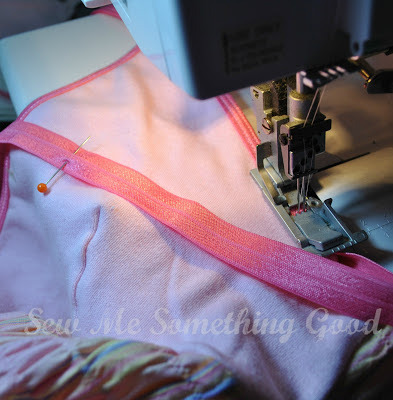 For the hemline, I used the narrow hem foot on my Janome to easily stitch a tiny hem that created a wave effect due to the cotton fabric being pre-gathered. I love this feminine touch! I realize now, just how long it's been since I last stitched some clothing for myself. Funny to think that for most of my years sewing, the majority of my projects were clothing - for myself and for my sons. 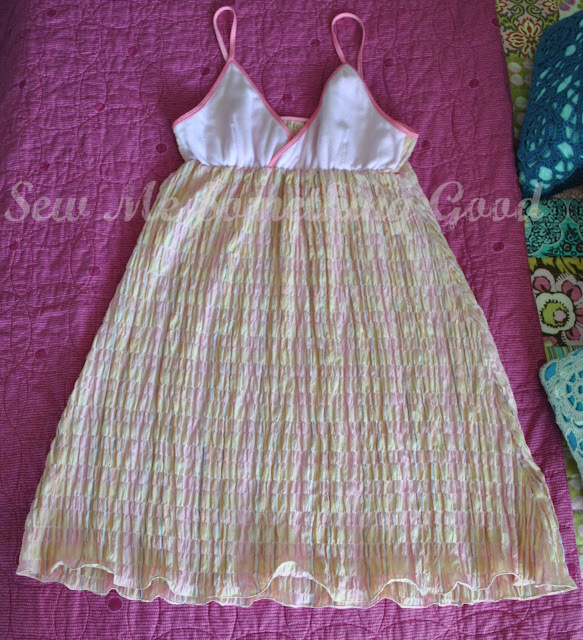 It was lovely to change things up and get back to garment making, especially with such a satisfying finish as this comfy and pretty nightie. I believe the basic pattern comes from a library book I had out ages ago titled, Sweet Nothings (the pattern is titled the "Patchwork Nightie"). It's been a long time since I traced out the pattern and I never copied instructions, fabric recommendations or a photo of what it's supposed to look like finished... 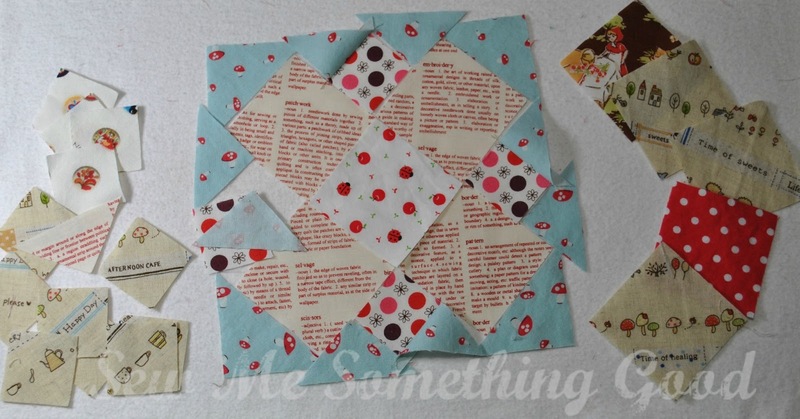 I just decided these pattern pieces would work for the idea I had in mind - so I did some "winging it". 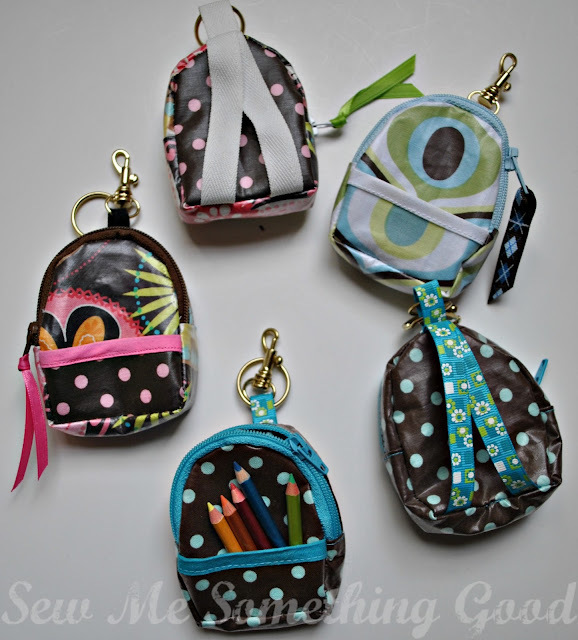 I can give more detail on what I did if you're interested in sewing one. 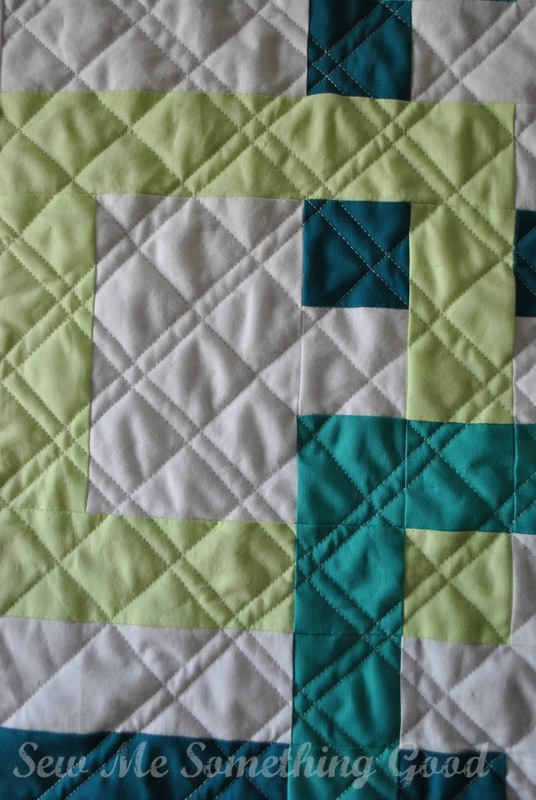 The stitch I used looks like a simple straight stitch, but it's not. Take a closer look at the photos showing the underside of the straps and you will see that the stitch is actually the same as the one you will find on store bought T-shirt. 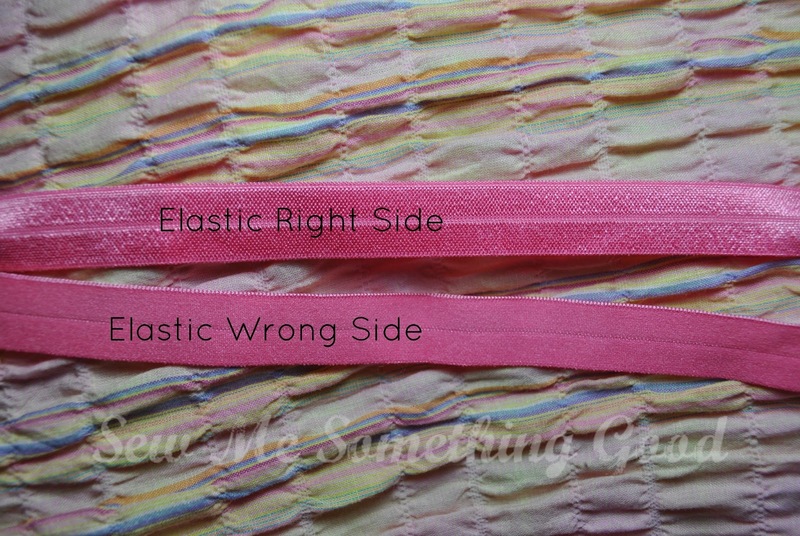 This stitch (called a narrow hem) allows the elastic to remain stretchy without breaking the stitching. That being said, I'm sure it would work fine to sew this elastic with a regular machine - I would however, recommend using a zig-zag stitch rather than a straight stitch (so the elastic doesn't snap the stitching when it's stretched) ;o). 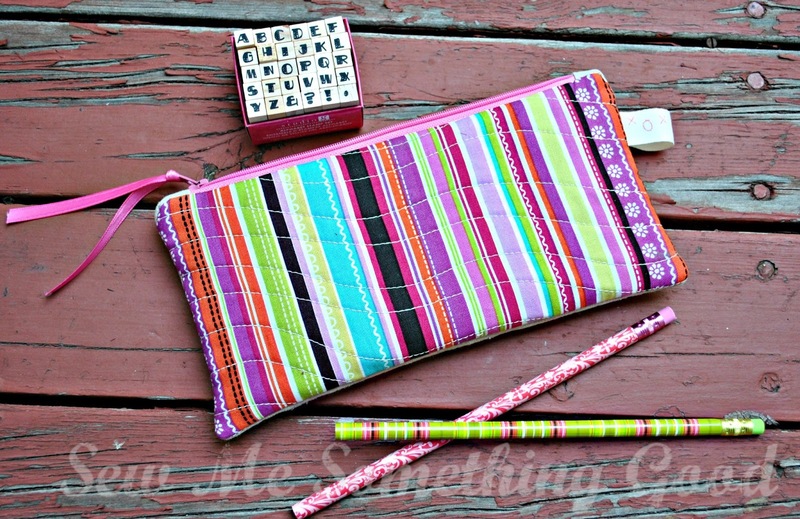 Please, check out my link to Sprightly Fabrics for their selection of fold-over elastic. 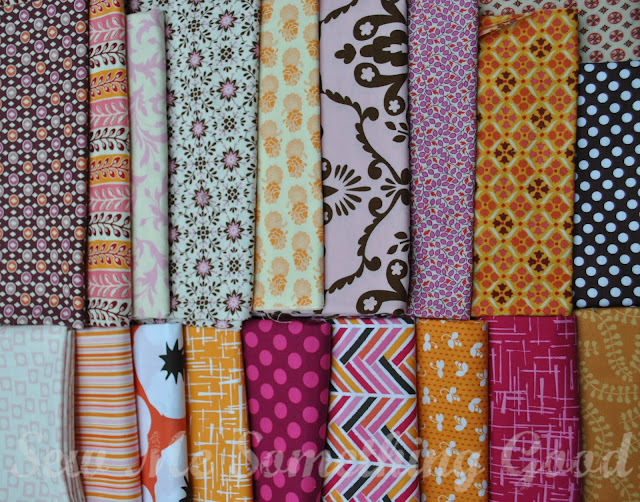 Great colour selection, some prints too and they even sell bundles or yardage of the elastic. 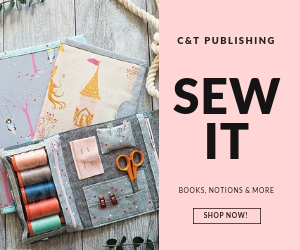 Glad to recommend a fun sewing notion! I finally finished a third project for the Zakka Along 2.0. I realize this was last week's project and that I skipped a project in the sequence, but I'm going along at my own pace and enjoying it. This project gave me a chance to use some treasured Japanese fabrics and start fussy cutting! The hardest part of the whole project was choosing fabrics for the patchwork. 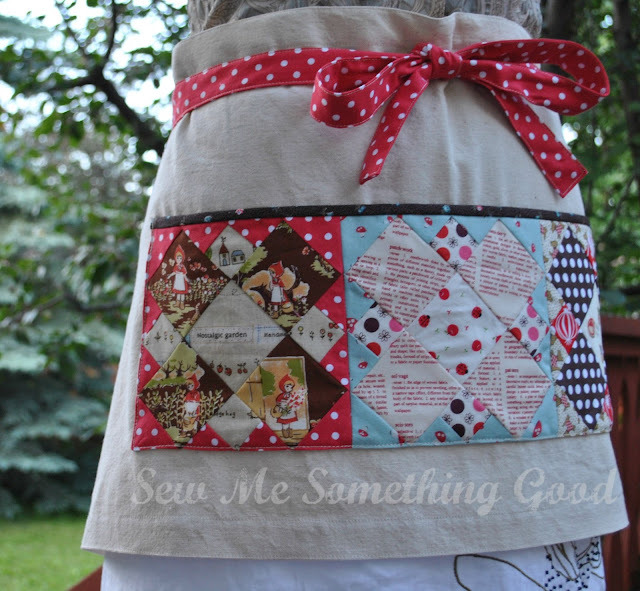 ;o) I believe another apron is in my future, just so I can make more of the patchwork blocks! 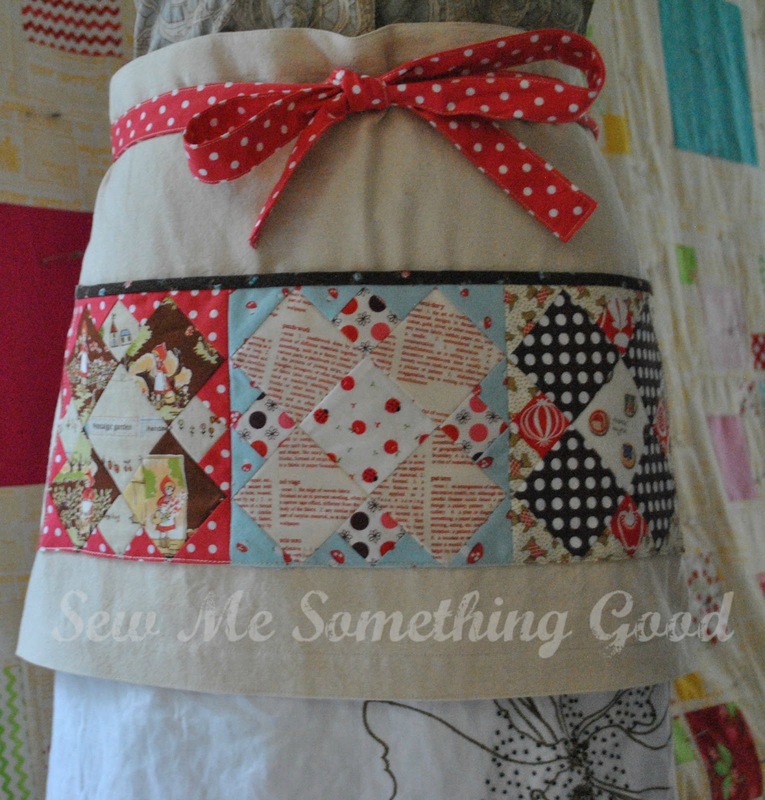 Mostly because I like lots of wrap to my aprons. 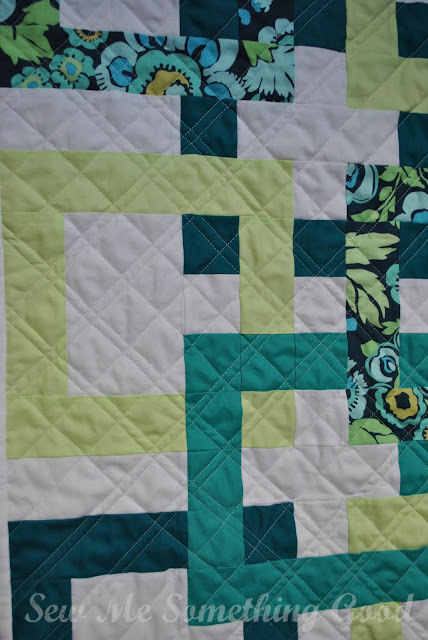 As happy as I was with how the patchwork blocks finished, I came to realize that I need more fabrics with small scale designs to work for fussy cutting projects like this. There's something wonderfully charming about those Japanese prints, I think it's their scale and all the details in them. 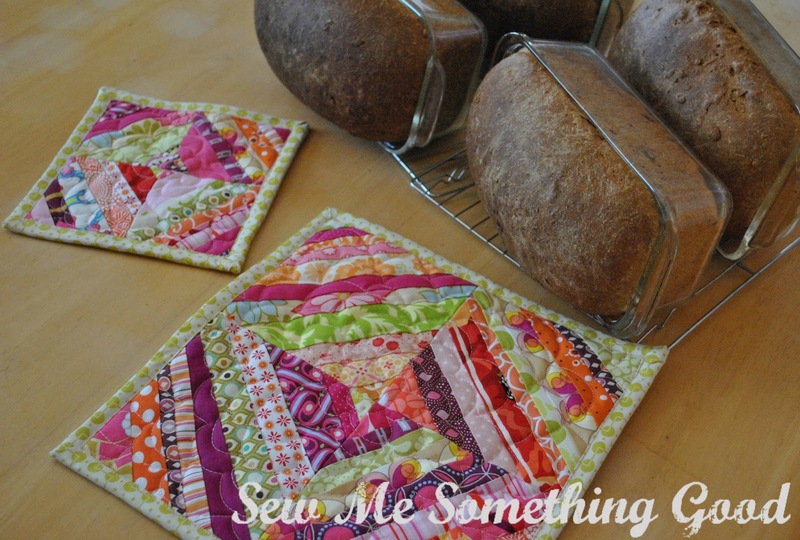 Whatever is, I'm seriously going to add more to my stash for future patchwork projects. You can't beat them for fussy cutting options. If you want a quick, cute and easy to sew apron, I think Ayumi's design fits the bill! 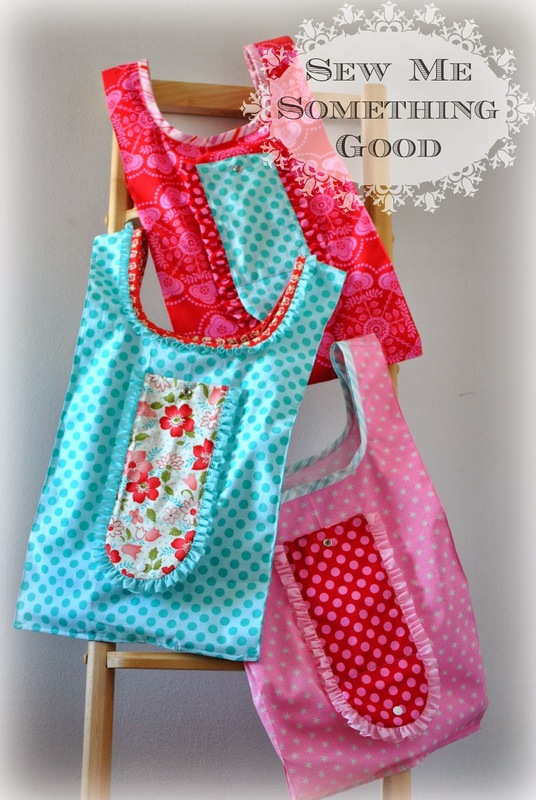 Wonder if I can squeeze in some more Zakka sewing before the end of the week? Time to tally up all the projects that I completed for the second quarter of the Finish-A-Long with Leanne at She Can Quilt. It's amazing how fast the past three months went by...I know I've kept busy but let's take a look at the list I made at the beginning of April (click here for list). 1. Pop Star Quilt - finished! 2. 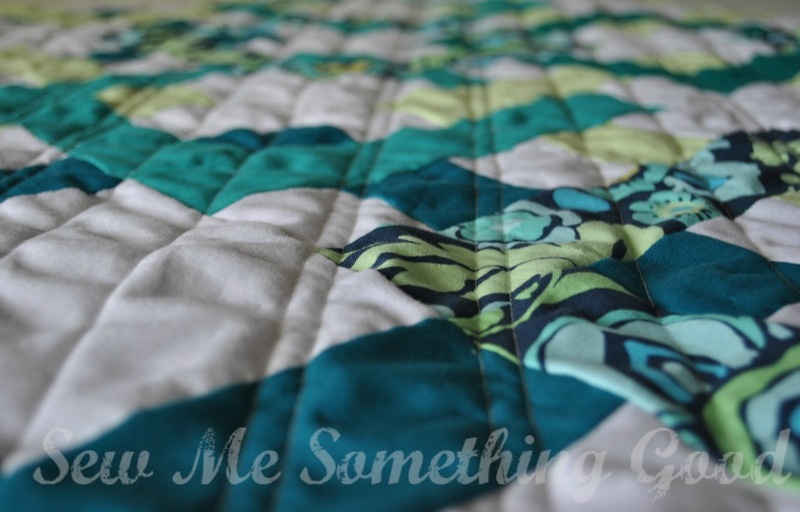 ManDarin Quilt - finished! 3. Mini Granny blocks Quilt - more blocks added - but not a finished quilt (and this project has been with me since the first quarter... tsk, tsk). 4. Possibilities in Blue and Green - an improv piece made from scraps - more piecing added but not a finished project. 6. 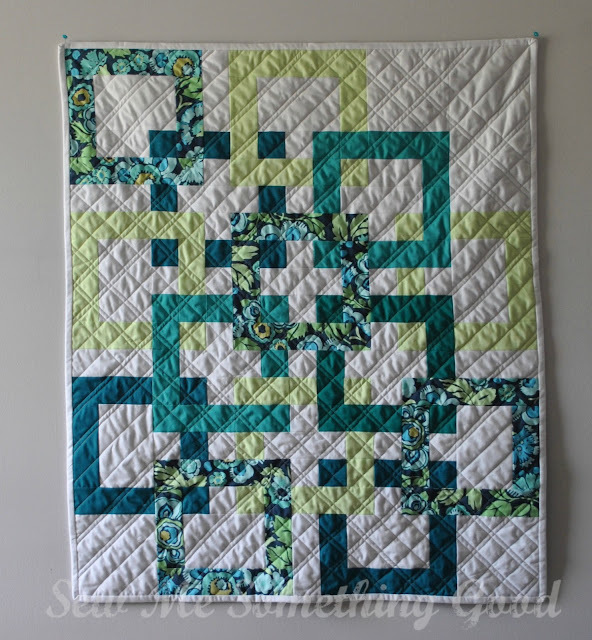 Garden Plot Quilt - my most recent finish! Having this one done makes me very happy. Four out of six projects finished makes me feel I've been rather productive this quarter ;o). Especially when I consider that I also made a few other things not on my list during this quarter - including a baby quilt (finished!) 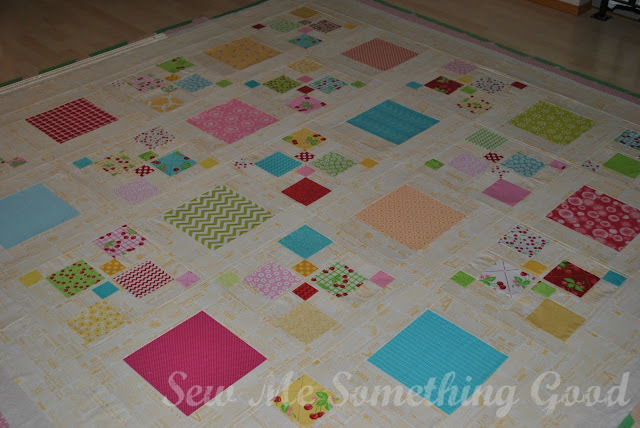 and starting another quilt (it's now a flimsy)... and sewing a few small projects as a result of joining a sew along. I wonder how everyone else did this quarter? First, let me wish you a very Happy Canada Day! Hope you get to enjoy the day with family and friends. The weather is certainly co-operating here in Calgary with lots of sunshine. It's really starting to feel like summer in these parts. Yay! 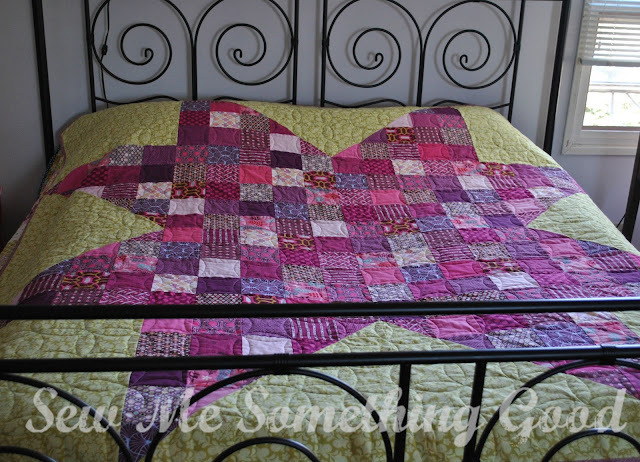 The long weekend has given me the chance to get another quilt finished and since it's one that has been around for a few months, I'm feeling really pleased to have it done. 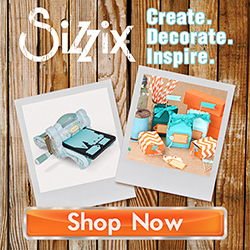 Do you recognize my entry in this year's Pantone's colour of the year challenge? Yes! This is my Garden Plot Quilt. 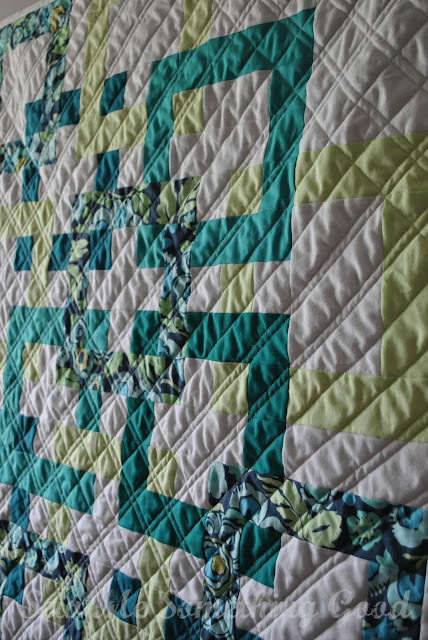 I had a hard time deciding how I would finish this quilt top because I like this design so much, I was a little concerned that my quilting wouldn't do justice to it. A walking foot with a seam guide attachment makes sewing parallel quilting lines easy. Do you know that feeling of wanting so badly to make something look good, that you force the creative process? Well, I believe that's what I was doing and why I wasn't "feeling it" with my initial quilting design ideas. That's when it came to me. Straight lines. Time to forego curves! 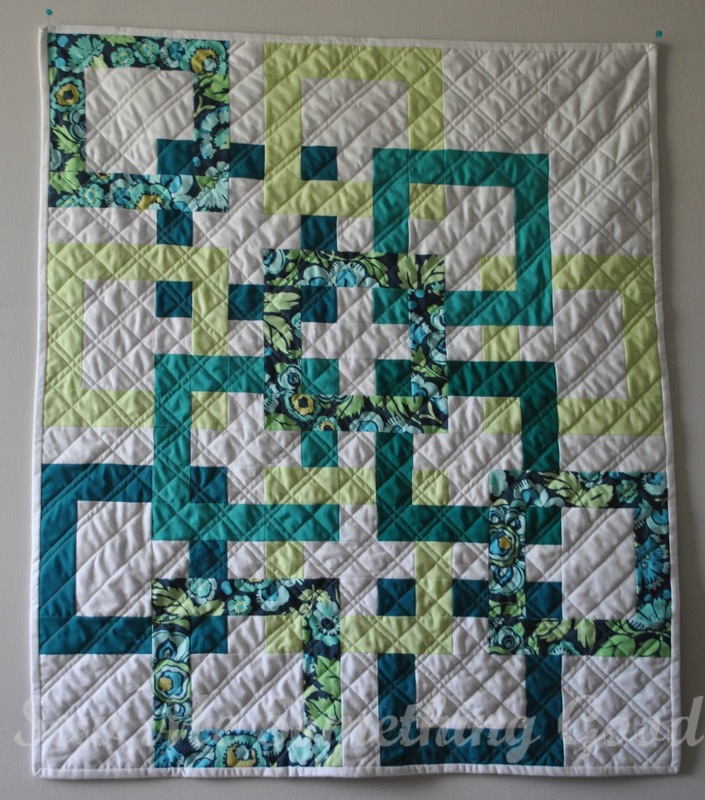 Single and double lines of parallel quilting on the diagonal make interesting secondary patterns when they cross. 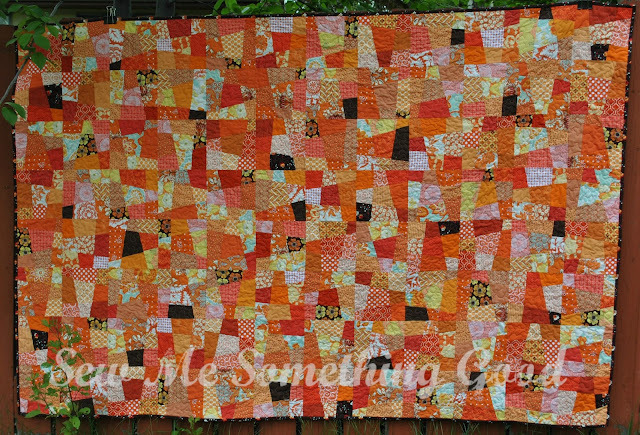 All this quilt top really needed to make it shine, would be to stitch some straight lines. Each of my other ideas had been too involved and too ornate. 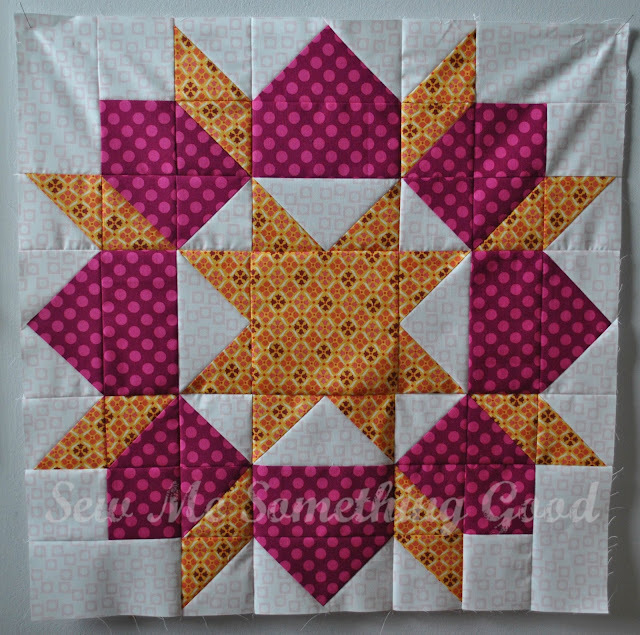 Simple straight lines on a diagonal is all this top needed. The straight lines made the most sense in keeping with my vision of seeing this design as a collection of garden plots - those lines could be planting furrows or rows of seedlings. I quilted on the diagonal in one direction in measured increments across the whole of the quilt, but kept areas open when it came to stitching on the diagonal for the opposite angle. My intent was to keep things from being too uniform and predictable, so that the eye would keep moving. The whole idea being that the interlocking squares in various greens are the feature of this quilt - so keep the finishing details simple and clean. A binding in white to blend with the background and to keep the overall look of the quilt as open as possible seemed the best option. Garden Plot finishes at 34.5" by 40.5". 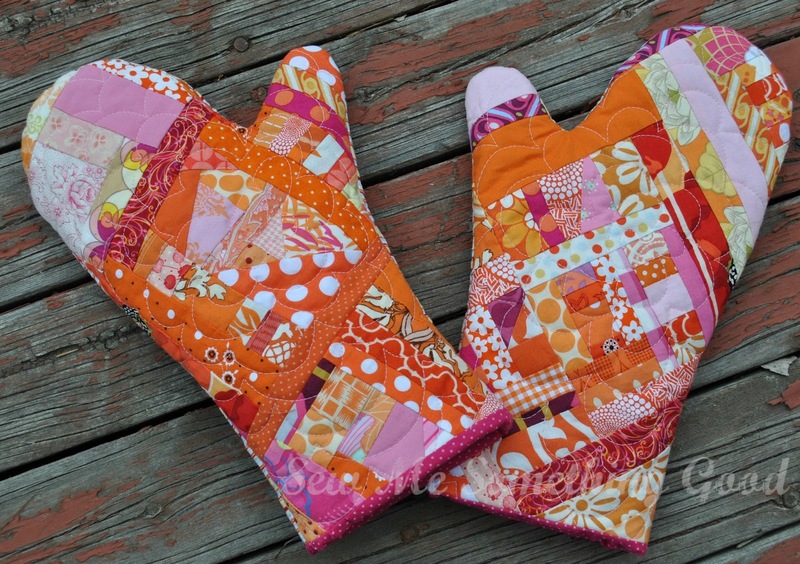 I have my final finish for the second quarter of Finish-A-Long with Leanne. Yay!